’96 Blue & Whites – Where are they now? Welcome to the Viper Owners Association, the premiere car club for owners who are passionate about their Dodge/SRT Vipers. Our goal is simply to help Viper owners have a more enjoyable ownership experience by providing a community environment to share Viper passion with other owners. Join us and live life at redline! In 2013, SRT launched the new Gen V Viper, and in 2014, we launched a new club for all Viper owners. We've taken the lessons we've learned from the past 20 years and started fresh to build the best car club on the planet. In our first year, we built a club with 37 regions around the world (check out our map at http://driveviper.com/images/voa-regions-map.png), club member services, published a world-class magazine on a quarterly basis, built a website and forums, held our first national event, provided significant discounts for members, and more! Our club is efficient, member-driven, and regionally-focused and puts fun in your club experience. We have established a strong relationship with our manufacturer and are on our way to making this the PREMIER Viper club. Our commitment is from the top down - as we have the most experienced and dedicated club leaders around. 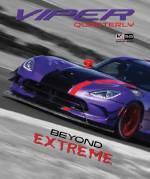 Join us and you'll receive our high-quality, quarterly magazine with the latest Viper news, stunning photography and regional club updates, membership badges, access to local and national events, website/forum access, free goodies, liability insurance coverage at our events, manufacturer access, and best of all, the camaraderie of fellow Viper owners. Welcome to the new VOA! Get involved, enjoy, and be proud of your club! South Central Texas Region members Slim Luttrell and Dave Durant have been very busy this spring and The Run to the River will be one of the most talked about events. The dates are September 6 through 8, 2019. The road along the Rio Grande River is an amazing drive so you have to join us for a great driving experience! Slim and Dave have pulled out all stops this year and, believe it or not, it will be TWICE as much fun as last year. There are beautiful vistas and some of the best roads this part of Texas has to offer. We usually have some pretty tasty meals and a challenging game of horseshoes! Prepare to have lots of fun and a chance to explore a part of the state many have never been to. The host hotel is the Quarter Circle Seven and their number is 432-837-1100 so give them a call today to reserve your room. Also please send a note to Dave (davedalpine@bigbend.net) to let them know you're coming so they can plan everything out. Slim is generously underwriting the expenses so there is no registration charge! See ya'll there! Ya’ll ready to drive the Tail of the Dragon??? Details have been revealed and now is the time to make your plans to join the Alabama/Tennessee folks at the 14th annual ToD weekend! It is guaranteed to be a ton of fun and what’s better than hanging out with all your Viper loving compadres??? Imagine seeing 100+ snakes in one place besides at an NVE!! The dates are May 30 through June 2, 2019 and the agenda and payment link has been emailed to all current members. More information can be found on the Alabama/Tennessee forum post so check it out, sign up and join the fun! 2019 is an off year for our large NVE event, as we always do, we use this time to host a variety of multiregional “Bucket List” events to keep you busy. These events take place in a variety of interesting locations across the globe and earmark some special experiences, create special memories and provide exclusive club experiences you couldn’t easily have on your own! Regions, it's time for ya’ll to create some amazingly awesome Bucket List Events so get together, plan it out and contact Beth Sewell (beth.sewell@driveviper.com) with your details and let’s get them on the board! Mike Levy has been a member of the Viper Nation since 1999 during which he’s owned 2 Vipers, a 1994 RT 10 and a 2001 GTS which he’s had for the past 15 years. As an active member of the Northern California VOA region he has organized numerous club events including race days and distillery tours. Most recently he assisted Alex Ristanovic organize the Red Rock Canyon and Hoover Dam tours for NVE3. He has written for the NorCal club newsletter, Snake Eyes, and assisted the local club leadership recraft their by-laws. He’s married with 3 grown kids who don’t remember a time when their dad did not have a snake in the garage! He’s ready to serve the club at the national level based on his 20 years of club membership. To him, the greatest benefit of being a part of the VOA has been the people he has met and the shared memories. He is uniquely prepared to work with regional chapters throughout the country to help strengthen them as a result of his varied experiences with the VOA. The VOA is always way ahead of the curve, planning NVE's nearly 3 years in advance. NVE4 planning has been underway and kept a tightly guarded secret, until it was revealed at the very end of NVE3 at the grand finale dinner! A special reveal video was shown that slowly teases and reveals the location of the next NVE. As the video concluded, a load roar came from the crowd as they say the next location - "Miami & the Keys"!! Click here to watch the reveal video. Jackpot! 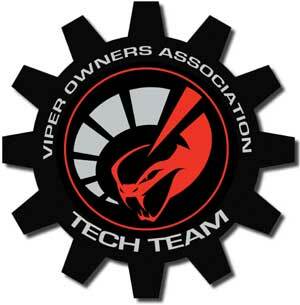 The VOA hosted a full house of Viper owners in Las Vegas, May 2-5, 2018! As the largest Viper gathering in the world, the National Viper Event (NVE) happens every two years in a different location, and this year's event took place in Sin City! With the event selling out in less than two weeks, over 800 attendees enjoyed the sights, sounds, and thrills that are Las Vegas. The festivities started off with a stunning outdoor private beach party at Mandalay Bay Resort and Casino. The following day, several hundred Vipers headed out to Red Rock Canyon National Park for a cool breathtaking cruise. The group then spent a very special afternoon at Casa de Shenandoah – Wayne Newton’s own estate! At his estate, we had access to his classic car collection, mansion, exotic animal sanctuary, his boyhood home, Arabian horse stables, and even his private jet! Guests received another little NVE gift from the club, specially made mobile phone chargers branded with the event and club name. We also enjoyed wonderful lunch and music on his front lawn and gathered together for a group photo in front of his mansion to commemorate the event. The next 2 days were spent doing coordinated tours of Hoover dam and having track days at Las Vegas Motor Speedway. This was one of the best track day experiences ever, it included the road course, high speed oval, and autocross! To wrap up NVE3, the Grand Finale Banquet was held Saturday evening where guests were treated to a fantastic cocktail hour which was then followed by a memorable night that included dinner, music, live auction, several guest speakers (including Ralph Gilles). Another little surprise, everyone received a deck of custom made VOA playing cards and one lucky guest at each table walked away with an awesome NVE3 LED animated centerpiece. And at the very end, the location of the next NVE was revealed... Guests were truly in awe of this event, you could tell it exceeded expectations. All plans and details were in place, there wasn't a single major incident, weather was great, and people had a great time. Thank you to all of the over 70+ volunteers and helpers that made this event wonderful, and to Alex Ristanovic, who spearheaded this lavish event. The memories of this event will last forever, Vegas will never be the same again!